Today, February 27 marks the day when the average worker who does unpaid overtime effectively starts earning for themselves, which is why the TUC has named this date ‘Work Your Proper Hours Day’. Nearly five million people in the UK put in an average of over seven hours unpaid overtime a week. Cartridge World, the market leading retailer of refilled and remanufactured printer cartridges, recognises it’s an issue that doesn’t go away when the day is over and is offering help with a task that most businesses face. When office printers run out of ink how many people end up doing extra hours because they have to run around picking up printer cartridges and peripheral printing supplies? Cartridge World’s free collection and delivery service could help take the stress off your staff. All businesses can take advantage of Cartridge World’s free collection and delivery service, helping business owners and their staff to manage their time more productively. When business customers printers run out of ink or toner all they need to do is pick up the phone and call freephone 0800-18-33-800 to be directed to their nearest Cartridge World store. 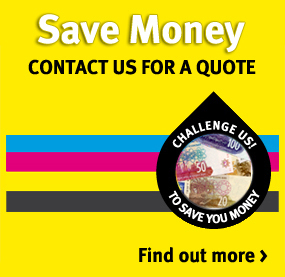 Cartridge World is the market-leading retailer of refilled and remanufactured printer cartridges. Using specifically formulated inks or toners, the Cartridge World stores can refill all major brands of ink and laser cartridges. The end result is a high quality product offering the customer substantial savings on the cost of an original and an environmentally-friendly alternative to throwing the cartridge into landfill.